This is a fun recipe using molecular gastronomy method to make little bead of honey. 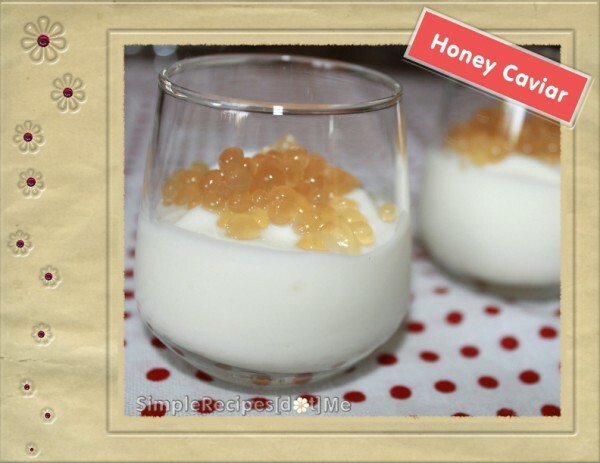 The main ingredients beside honey is agar-agar, which is from seaweed. Playing with “molecular gastronomy” again…this time I used agar-agar, which is a vegetarian version of gelatin. 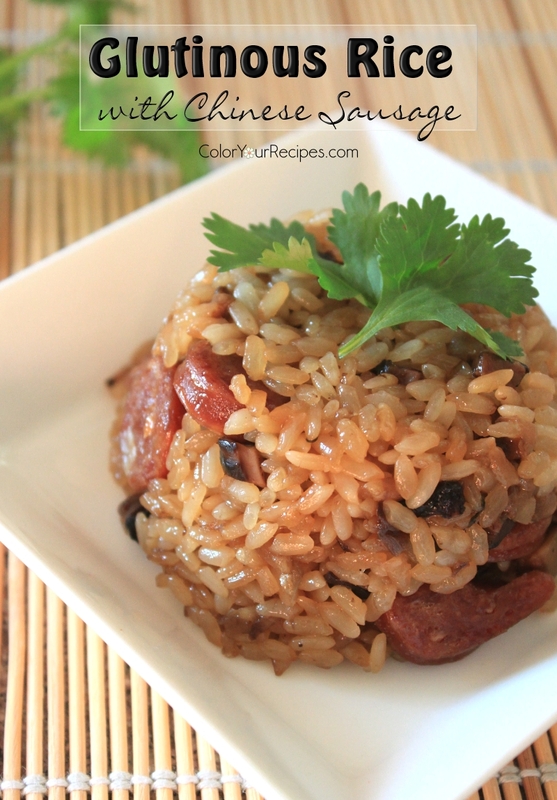 Apparently this can be done using gelatin if you have difficulty finding agar-agar. I have the feeling that if gelatin is used the texture might be more chewy…something that I will try to make in the future since I love chewy texture. 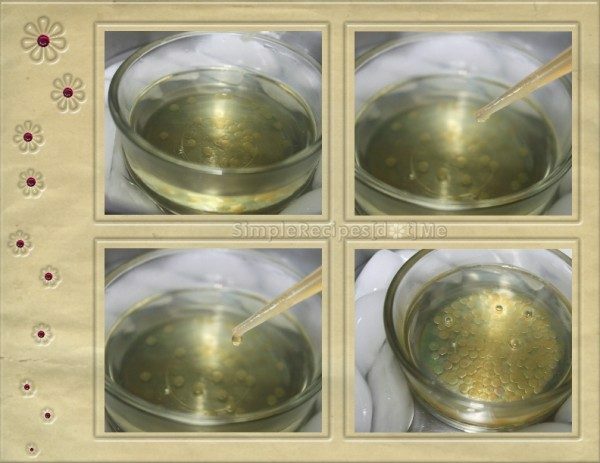 I must admit that I was reluctant to use agar-agar, because the image of bacteria growing in petri dishes always come to my mind when talking about agar-agar; all this due to years and years of working in microbiology lab…I literally had to block these images from my mind when I started to make this honey caviars. 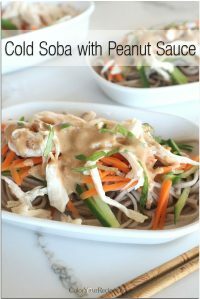 This recipe is much easier than the Spherical Yogurt; most of the ingredients are commonly found in the kitchen, with the exception of the agar-agar which can be substituted with gelatin. 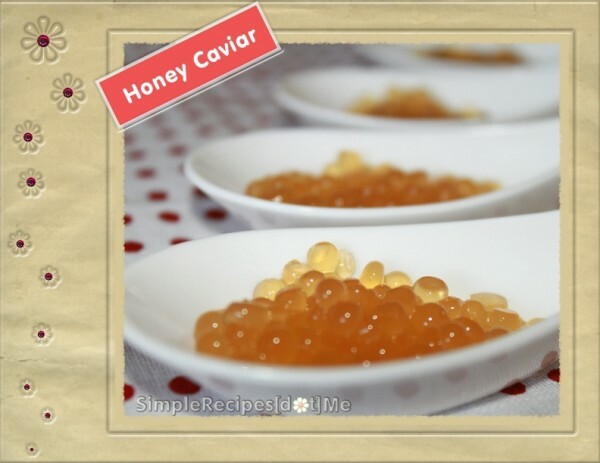 These little honey caviar or pearls can be used with anything that you want to serve with honey, like cheese, yogurt, cake and the list goes on and on. Besides, they look very “cute”. One more thing before I share the recipe, this method is called “Gelification” and is based on a recipe featured in Cookistry. 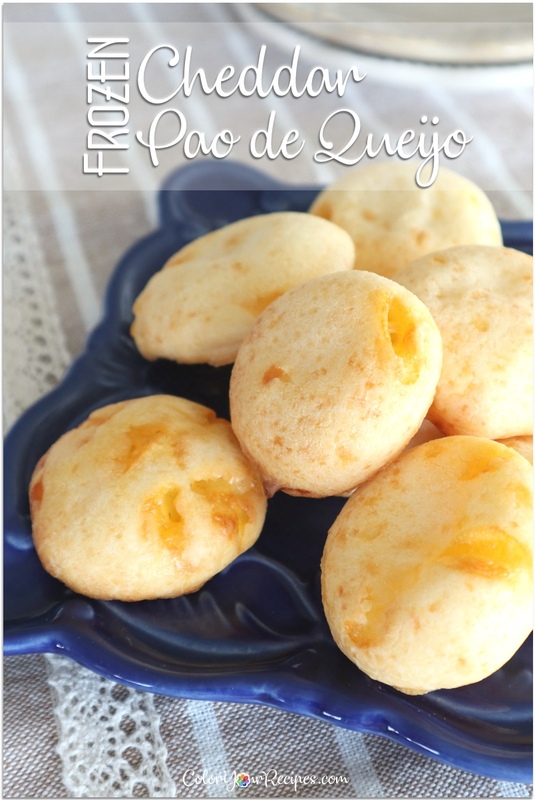 Place the vegetable oil in the refrigerator. 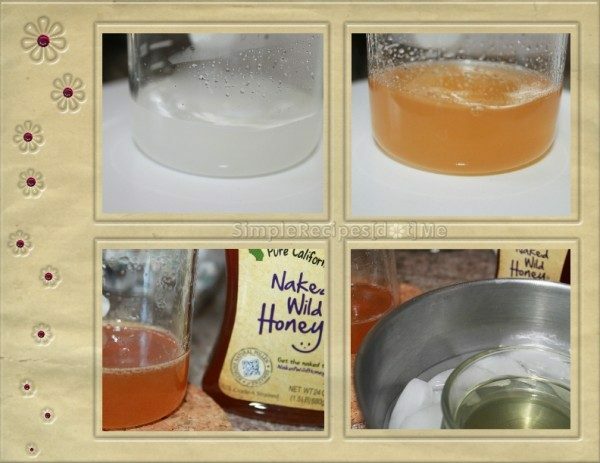 Mix the agar-agar with the water and place in low heat. Slowly add the honey, stirring constantly until the agar-agar is totally dissolved. It might take a while and needs boiling. You will know when there are no more particles in the liquid. Let the agar-agar/honey mixture cool until start to thicken a little. If you leave it too long a big gel will form. 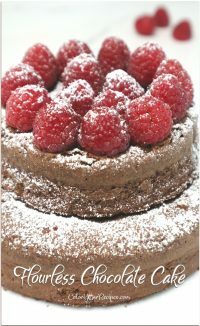 In the meantime, remove the oil from the refrigerator and place in an ice bath, so the oil is kept icy cold. Using a dropper drawn the agar-agar/honey mixture and drip in the cold oil. 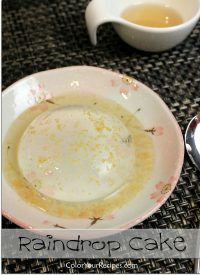 As soon as the droplets of honey fall into the oil you will see little pearls forming and slowly falling to the bottom of the oil bowl. 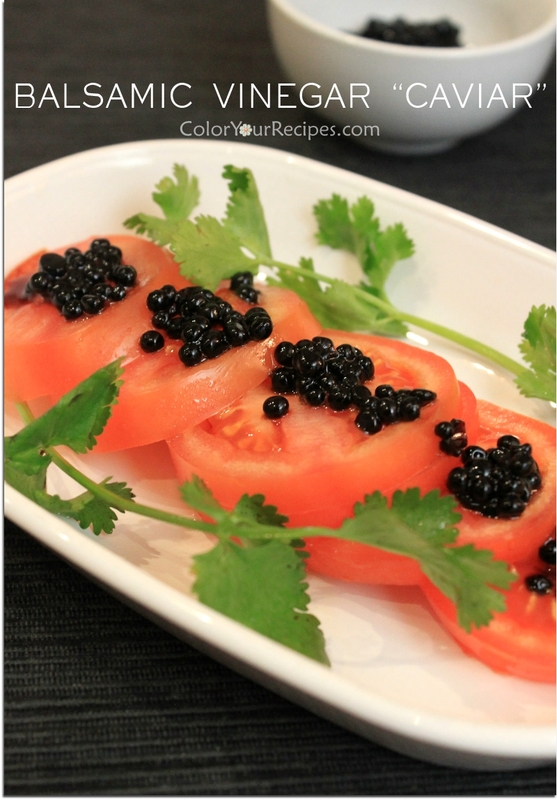 Let the caviars sit for a while in the oil so they turn firm. Gently with a slotted spoon or small strainer scoop the caviars out of the oil and rinse in cold water to remove the oil. Drain well and the honey caviars are ready for you to add to anything you wish. 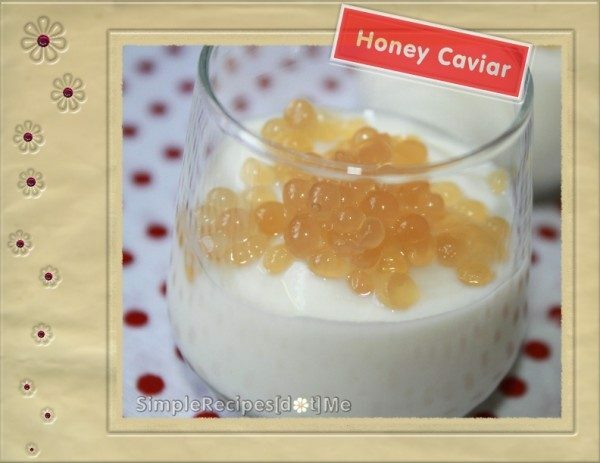 I served the honey caviars with plain yogurt…so good! If you enjoy this “molecular recipe”, you might want to check on the Spherical Yogurt. Did you know that gela tin is made from collagen from animal bones and skin while agar-agar is made from seaweed? 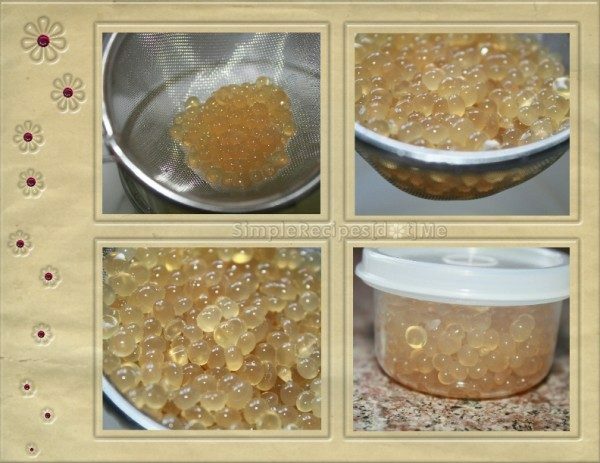 Agar-agar is very popular in Asian cuisine and are sold as powder or translucent strands. Thank you for stopping by Simple Recipes [dot]me…have a colorful day!